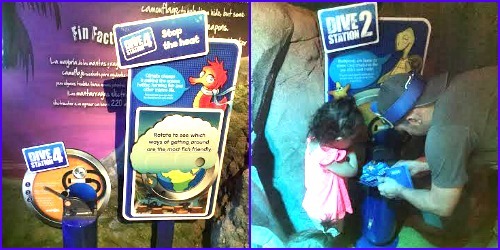 This past weekend, I received the opportunity for my family and I to visit SEA LIFE Arizona in Tempe, AZ. 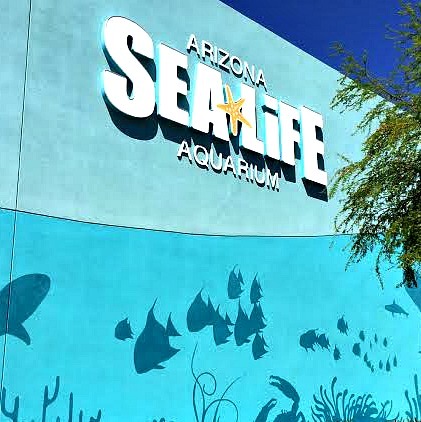 SEA LIFE Arizona is an aquarium that is specifically designed for kids, with interactive stations, plenty of different things to see, and fun facts that they can learn about all of the 30 exhibits along the way. 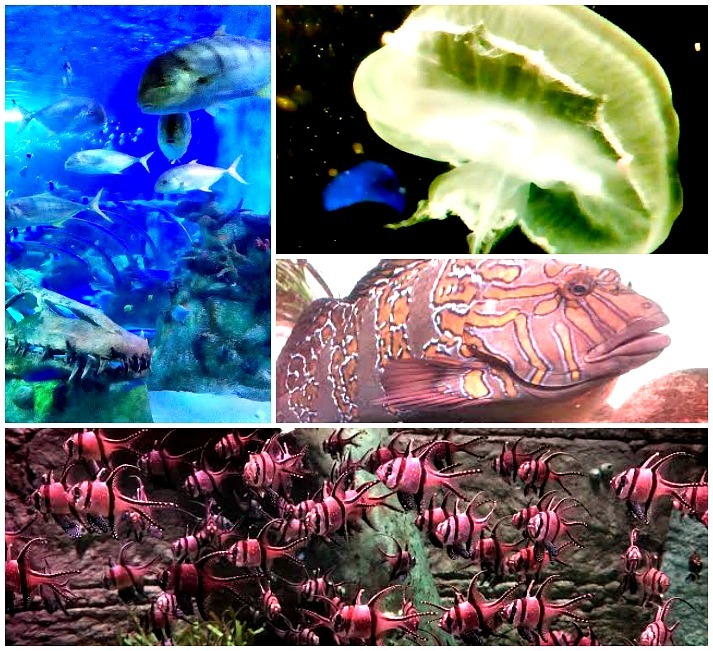 They have a huge variety of different fish and sea life, a few different types of small-medium sized sharks, octopus, huge sea turtles, and more! The aquarium is located inside of the Arizona Mills Mall, which is an interesting location. Once you get stamped, you can come and go throughout the day so if you want to leave and get lunch and then come back to see the sharks being fed, you can do that! There are also a lot of other activities at specific times throughout the day, with all of that information located on their website so that you can plan your visit ahead of time. 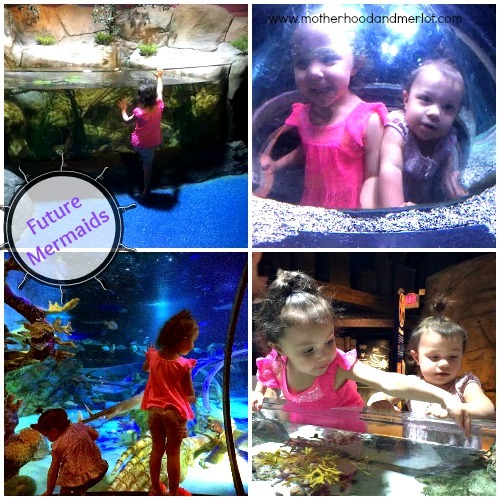 When we started our little adventure through the aquarium, our girls were given a passport book with information about different creatures and 9 places to collect stamps throughout the aquarium. This was really fun for them because they got to do the stamping themselves. My oldest absolutely loves anything with stamps and stickers. Right as your enter, you are immediately surrounded by huge tanks full of sea creatures. It is very dark in most of the areas, but the tanks are well-lit and very colorful, so it made up for the lack of other lighting in most areas. We let both of our girls roam around, but there are a lot of different paths and rooms so I would say that the really dark lighting in these areas made me anxious to let go of their hand. Most of the tanks are just walls of glass that are perfect for kids of all heights to see into. There were also a couple of areas where the girls could actually stick their heads into this clear bubble so they were surrounded by the fish and it looked like they were inside of the tank. They LOVED this! There was also an interactive touch tank where the girls could touch anything that was in there including star fish, hermit crabs, and plant life. They loved this part, I stayed away from petting anything. The displays themselves were gorgeous, although I was expecting there to be some larger varieties of sea animals and was slightly disappointed in that. Because of the location of the aquarium, I can understand why this is not really possible. There were a lot of different activities for the girls to do and things for them to see. This is definitely geared towards kids, I would say elementary school age and younger. For the adults, it’s fun to watch the kids and interact with them but don’t go there planning to be thrilled by any huge sea creatures. My favorite parts of it were watching our girls have so much fun. My youngest did not want to leave the tanks. She just sat there with her face up against the glass in pure amazement. I also loved the huge walk-through tank that is 360 degrees of glass all around you. This is where most of the medium-sized creatures like the sharks and large sea turtles were swimming around. Even though it was a really short tunnel, I though this was a great addition. We had a blast and I would absolutely take our kids there again or take visitors who had children while they were in town. Disclaimer: In exchange for my honest review of this venue, I was provided free entry as well as additional tickets for my family. I was born and raised in Arizona (for 20+ years) all my family still lives there and we visit often. Next time I go I think I will definitely be taking a trip here. My kids would love it! Glad you had such a good time. 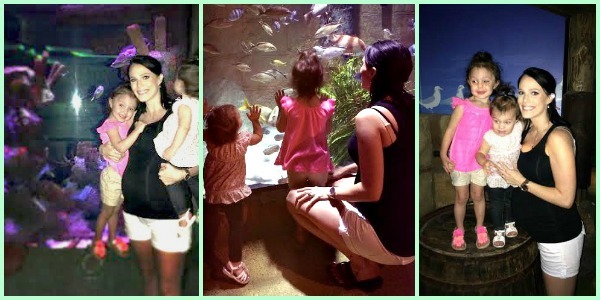 I have lived in Arizona for almost a decade and I still haven’t visited Sea Life – it is definitely on my list of to-do’s! I hope you get to make it there one of these days! Look like fun! 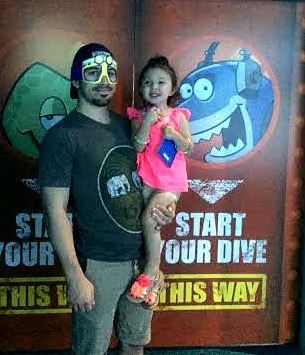 My kids love Octonauts also! I like the Monterey Bay aquarium.